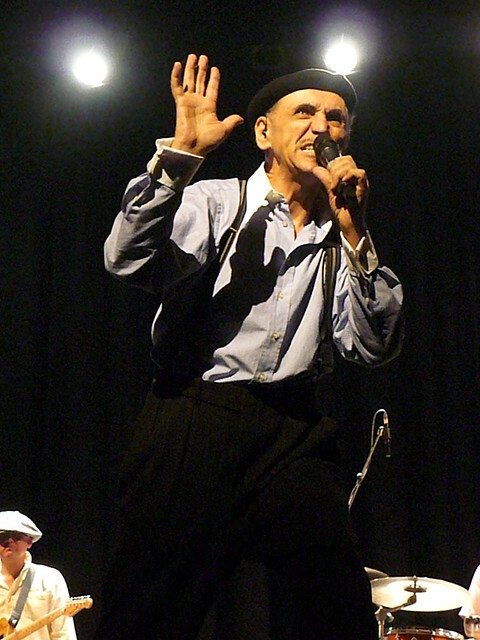 Kevin Rowland knows how to test the devotion of his fans. Situated in the heart of the Rhondda Valley, Treorchy’s Parc & Dare Theatre isn’t the most like;y venue with which to kick off a UK tour. Regardless of where you’re travelling from, it’ll take you a long time to get there. There’s already a buzz in the town. You can hear the manager of the local chip shop proudly tell customers that Rowland has popped in already, “wearing the snazziest shoes you’ve ever seen”. Tonight, the audience knows what it’s getting. 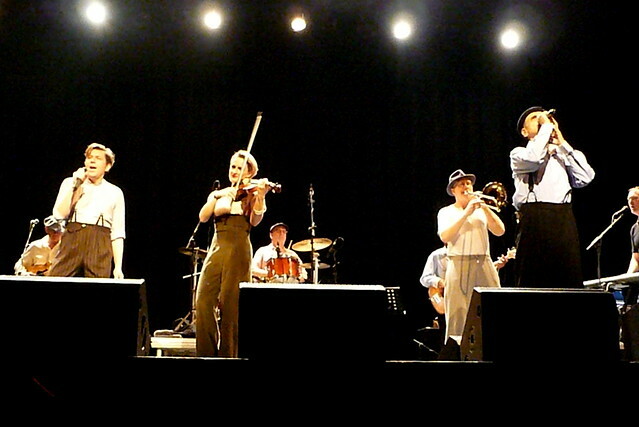 The first Dexys album is 27 years – ‘One Day I’m Going to Soar’ – played in full, followed by a few old favourites. 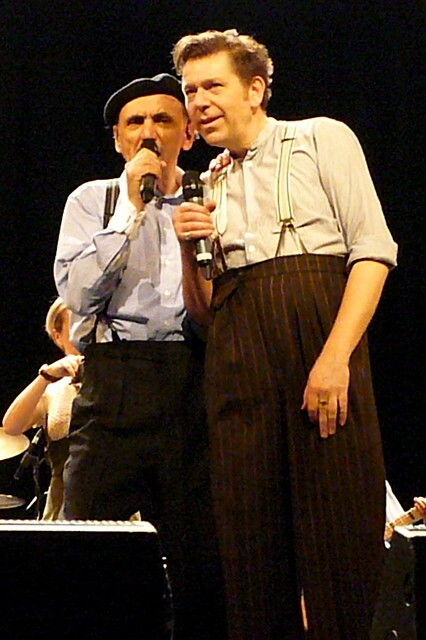 It’s not the first time the Dexys name has been revived since the band broke up post ‘Don’t Stand Me Down’. There was an aborted project in 1993, and a ‘reunion’ tour ten years later. The only ‘original’ members taking part in the latter were Rowland and keyboard player Mick Talbot, with founder member and bass player Pete Williams promoted to joint lead-vocalist. While those shows were generally well-received, you couldn’t really escape the idea that Williams was there to handle the notes Rowland couldn’t reach any more. 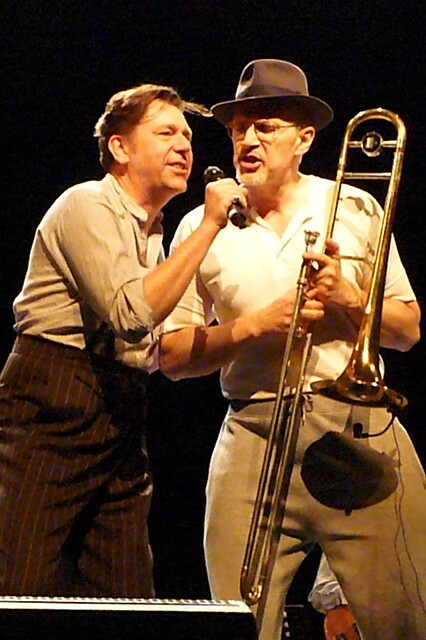 The Dexys of 2012 is a similar lineup to the 2003 band, with one notable difference- the welcome return of trombonist (and co-writer) ‘Big’ Jim Paterson. On the new record, a handful of the songs originated as demos recorded by Rowland and Paterson in the early 90s. ‘You’ was even performed under a different name on a one-off TV appearance by the band in 1993. Williams, who played bass on the album, is just on vocal duty tonight. A charismatic performer with a fine voice, the interplay between him and Rowland clicks far better than in did in 2003, largely down to the strength of the new songs. ‘Now’, the first number, emerged as a teaser for the album over a year ago. It’s the perfect opener. A starkly-lit stage, with Rowland’s vocal coming in over Mick Talbot’s piano, before the whole band kicks in. It’s also a great showcase for Welsh-born violinist Lucy Morgan, whose violin duels with Paterson’s trombone throughout. As with the previous tour, there’s only one brass and one strings player, with the parts being filled out by the Manics’ Sean Read stage left with a synthesiser. In theory, it’s a little dubious, but the end result hard to distinguish from the real thing. It’s still very much the Kevin Rowland show. Pacing the stage, he throws himself into the songs, often unleashing a vocal range that many might have thought was now out of his reach. ‘Lost’, ‘Me’ and ‘Incapable of Love’ contribute to the confessional aspect of the album, and it’s one that is well suited to the theatrical setting. ‘She Got a Wiggle’ sees Rowland at the front of the stage explaining his lust to Pete Williams, while a projection of the woman in question appears. The object of his affections, played by Madeleine Hyland, appears in person for ‘I’m Always Going to Love You’. Rowland declares his love, and then throws it all away, leading to high emotion on stage. Thankfully, the whole episode is pulled off rather well. Standout tracks like ‘Free’ really see the band get going, with Paterson’s presence really making itself felt with the outro to ‘Thinking of You’; soloing over the outro while a clearly moved Rowland watches with his head bowed. A standing ovation from the whole theatre brings to first part of the set to a close. The band returns with ‘Old’, a version lower in key but remarkably faithful to the original. It’s inevitable that ‘Come On Eileen’ will make an appearance. What’s more surprising is how good a version we get. It’s a world away from the plodding rendition in 2003, where Rowland sang a counter melody like an weary cabaret singer. Tonight, his voice soars in a storming rendition powered by Tim Cansfield’s guitar. A handful of rowdy drunks approaching the stage perhaps explains why we don’t get a second encore, in which ‘This is What She’s Like’ was due to make an appearance. A disappointment, yes. But on the strength of the show we’ve actually had, it’s one we can live with.